As an introduction to pysche outfit Josefin Öhrn + The Liberation from Sweden, we share with you the spectacular, somewhat spaced-out video for ‘Anything So Bright’ that was issued earlier this year. Taken from the band’s Diamond Waves EP, the song has a melodic yet slightly mellow sixties vibe and the video, directed by fellow Swedish native David Nord, accurately captures the atmosphere. The four-track EP, a 2014 release on Gone Beyond Records, brought the band critical acclaim, including a nomination for a Swedish Grammy as best newcomer, and ‘rapturously received’ appearances at festivals like Roskilde this summer. The band’s debut full-length album is due next month and we’ll be sure to share this highly-anticipated release and its kaleidoscopic, cosmic otherworldliness here soon. For now, we’ll escape into a dark dreamland with this video (on repeat). 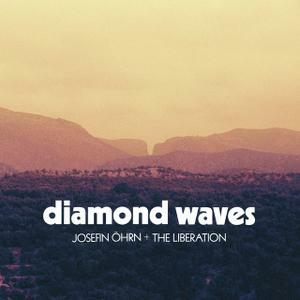 Diamond Waves – Released on 27 June 2014. Video: akoustische sessie met Echo Me uit (en in) Denemarken! I am Janine, and I fell in love with Scandinavia. On Nordic Vibes I and fellow Scandinavialovers share tips on the nicest places to travel to, the best music, design and more!